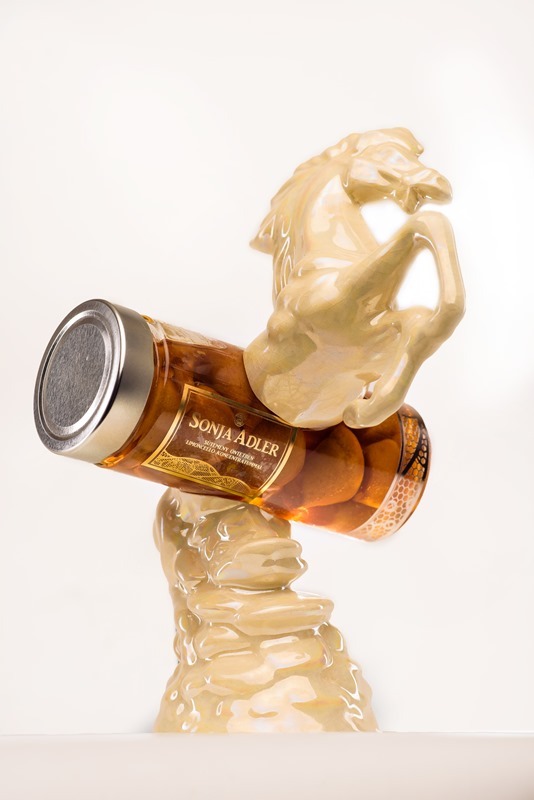 Pastry and Art exhibition is an exciting journey, where Sonja Adler pastries raise to real artworks in hands of Szász Károly, glass artist, china savior. The delicious desserts locked into golden liquid of smart glasses, decorated with refined laces impulse elegance. They are independent and equal partners of china, glass and granite used in the sculptures. The artist produces his works from pastry, stopped the idyllic moment, when glasses were full. The exhibition creates a new world of gastroesthetics, forming the eatable artpiece.